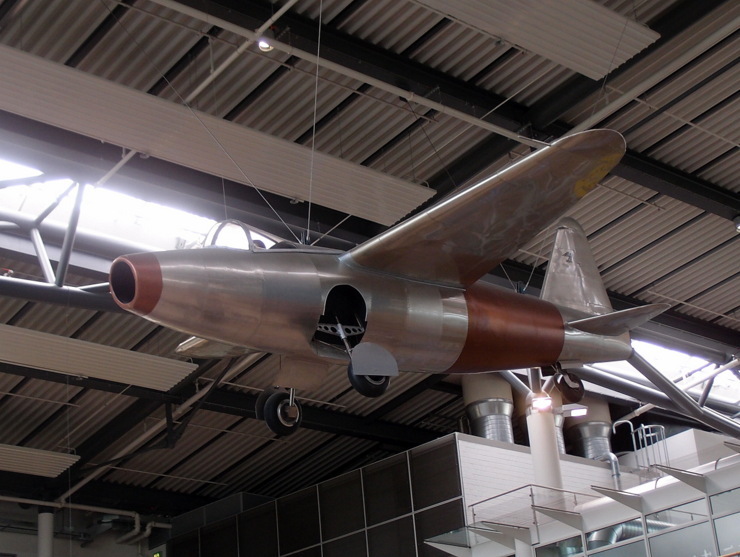 In memory of its first start in Rostock-Marienehe, a replica of the aircraft hangs in the check-in hall of Rostock-Laage Airport. Another replica can be seen in the Technical State Museum of Mecklenburg-Vorpommern (phanTECHNIKUM) in Wismar. This entry was posted in Aviation and tagged Germany, Mecklenburg-Vorpommern, Rostock by Travelwriticus. Bookmark the permalink.